What is it and what’s the concept? It’s not a race, it’s not a rally, and it’s not a GPS event (however, you will need a GPS) … but there will be a winner, or winners? 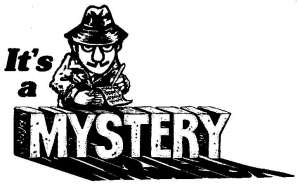 Teams will drive along a mystery route in this unique 5-day, 4-night challenge. You will receive your first clues after 12pm on the first day of the event (Thursday, 18 Apr) while you are still at home or at work. This will direct you to the to the first evening’s rendezvous /stay over. You have to be there no later than 19h30 on that Thursday evening for the briefing and of course the traditional club communal braai. The following morning a new clue will tell you where you need to go. It could be in any form or shape. You have to enter in a 2 persons’ team, you need a team name, and you need to decide on the driver and the co-driver for the event. Some challenges might have to be done by the co-driver — who knows? Anything can happen. You will earn or loose points as you progress. 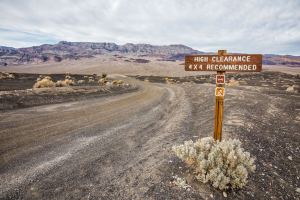 Each team will have to travel about 2 to 3 hours per day, set up camp and then you might have to do a grade 1 up to grade 3 trail before having a cold one. You need to be totally self-sufficient. There may be hot showers and electricity, or maybe only at some camp sites. The mystery continues …. The fun will start early evening on the 18 April and we return late afternoon on the 22 April. You might have to take an hour or 2 off from work on the 18th as you might have to travel about 2 hours from Cape Town. Who is this challenge aimed at? We want the deserving to join us, legends who will be remembered for their awesomeness, and ability to go with whatever comes their way, and above all, those able to create smiles and vibes out of thin air! Trying to work out a budget for this adventure is not as easy as predicting a Zimbabwean general election. In fact there are tons of things worth taking into account while planning. So – we will have a better idea a bit closer to the time, but will be limited to camping fees, route fees (if applicable) and an estimate on how many kilometres we plan to travel. How thirsty is your vehicle? You do the maths! Is it open to all? No, it’s only open to club members, AND … This is a limited entry event, which means only 10 vehicles get to experience this event. We will try and plan to pass a fuel station, not necessarily every day, but you need to be able to do about 450km between re-fuelling, just in case. Jerry cans here I come! What about food and sleeping? This trip is not about creature comforts but it will be an amazing experience. We camp each night of the challenge; therefore, you will need to bring your own tent, sleeping bag and whatever you require or can pack. Some nights might be in luxury campsites and the next in a bush camp. You will have to be fully self-sufficient and carry enough food, water, drinks and whatever your dietary needs might be. We will have a braai fire every night. Who will provide the wood is still a mystery or it might be part of the challenge. More details to follow in the near future. Remember there are only 10 places, so first come first served. Please come and join your club on a day outing on the Sneeukop trail in the Rawsonville area and relax afterwards in the picturesque Slanghoek valley. 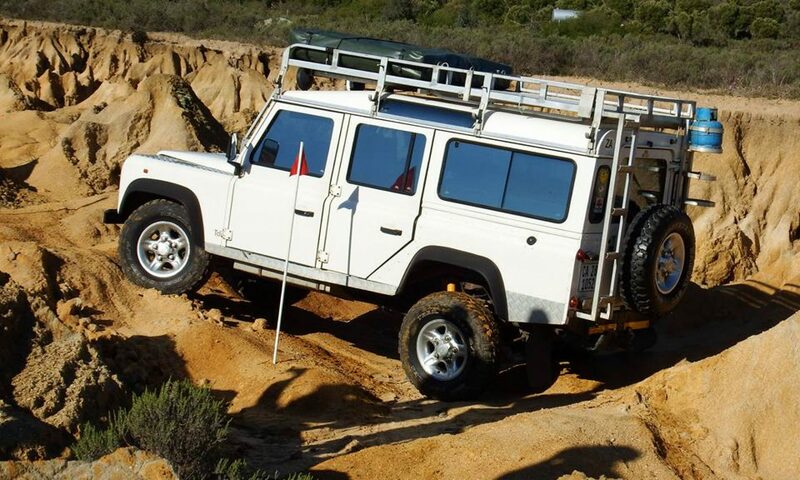 The Sneeukop trail consists of 9 km drive there and back with one or two difficult sections but as covered in the December 2018 SA4x4, it is not a vehicle breaker. It is classified as a grade 1-2 route but keeps you occupied for 2-3 hours. You will need to engage 4×4 low range and enjoy the spectacular views over the valley and at the turning point, over the Brandvlei dam. This trail entails driving up a mountain and if it is raining or deemed too wet and dangerous the drive will be cancelled. The day will start at the Winelands 1stop on the N1 outbound where we will meet at 8h00 on Saturday 22 June 2019, and depart after signing the register and a driver briefing for Rawsonville at 8h30 sharp. After traveling through the Huguenot tunnel we will turn off and drive into Rawsonville. We will be driving through Rawsonville and after the Goudini Cellar make a right turn into Goudyn road. At the end of this road we will stop and deflate tyres in preparation for the trail. Along the 4×4 trail there will be pitstops to enjoy the scenery and take some photos. 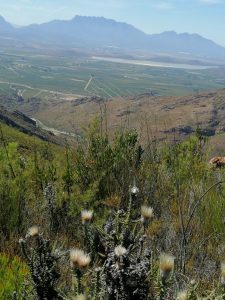 After reaching the end of the route we will travel through Rawsonville to the Opstal wine estate for an ad-hoc wine tasting and lunch. The wine tasting is worthwhile and the lunch is for your own account. 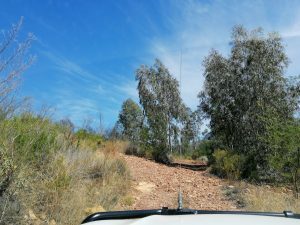 Communication between participating vehicles on any 4×4 excursion is important for many reasons. It contributes towards the safety of drivers, passengers and vehicles while on a 4×4 trail, where drivers can communicate with one another as regards to their location and situation not to mention the interesting information that is shared with participants. For those who have not got a VHF Radio with the ORRA Channels the Club has radios available for hire. Contact Jimmy Niemann radio@4wd-wc.co.za in this regard, well in advance please. Somebody from the group will be requested to write a short trip report for the website and our Facebook page, and please include some pictures. We hope to see many Club Members on this outing.